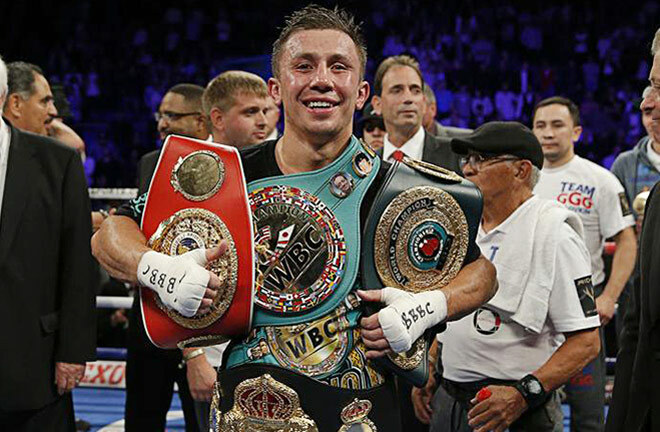 Home Columns GENNADY “GGG” GOLOVKIN IS BACK! GENNADY “GGG” GOLOVKIN IS BACK! Golovkin to face the new Undisputed King of Cinco De Mayo on Saturday, May 5 at StubHub Center. CARSON, CALIF. (April 18, 2018) — Undefeated World Middleweight Champion and boxing superhero GENNADY “GGG” GOLOVKIN is saving Cinco De Mayo for boxing fans! Golovkin (37-0-1, 33 KOs), from Karaganda, Kazakhstan, boxing’s longest-reigning world champion, returns to the ring, Saturday, May 5, against two-time world title challenger VANES “THE NIGHTMARE ” MARTIROSYAN (36-3-1, 21 KOs), from Glendale, Calif. The fight will headline an exciting world championship card which will take place, under the stars, at StubHub Center, in Carson, Calif. It’s the first time Golovkin has fought in Southern California in over two years. Golovkin has proved himself to be a sterling gate attraction in his previous three fights in the Southland, selling out The Fabulous Forum twice, in 2016 and 2015, and setting the all time attendance record for boxing at StubHub Center in 2014. 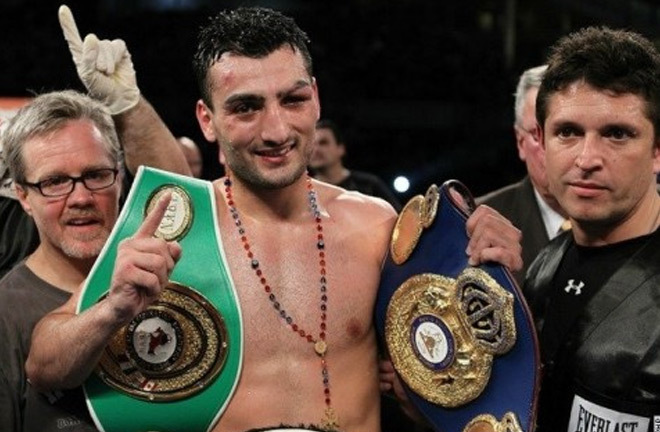 Golovkin vs. Martirosyan will be televised live on HBO World Championship Boxing beginning at 11 p.m. ET/PT. Not only will this mark Golovkin’s first non-pay-per-view fight since 2016, if successful, it will also be his 20th consecutive and record-tying middleweight title defense. For more information, www.hbo.com/boxing; follow on Twitter @gggboxing, @hboboxing, @VanesBoxing, and @TomLoeffler1; become a fan on Facebook at www.facebook.com/gggboxing, and www.facebook.com/HBOBoxing; follow on Instagram @gggboxing, @vanesboxing,and @HBOboxing.